Being a Boss vs Being Bossy - Solutions Northwest, Inc. 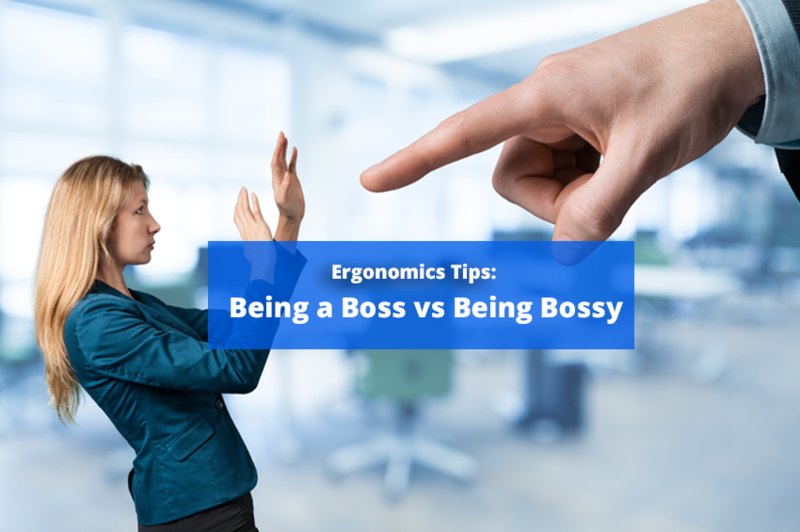 Whether you’re a new manager or seasoned supervisor, it is important to know the difference between being the boss and just being plain bossy. The workplace can be a stressful place, there is no reason to contribute to your own stress or the stress of others on the job. In fact, it will benefit your workplace productivity if you treat your staff right versus bossing them around just because you can. The stats are in, “50% of 7,200 adults surveyed left a job to get away from their manager” according to Gallup. Poor leadership can create a poor working environment, which leads to employees fleeing the job. As a supervisor, admin, or owner, it is important you create a positive work environment for your subordinates. As a leader, it may be tempting to take credit for all of the work your team is doing, but if you don’t properly acknowledge your team’s hard work, then your success may not last very long. Studies reveal that “79 percent of people who quit their jobs cite ‘lack of appreciation’ as their reason for leaving. People don’t leave companies. They leave bosses,” according to Forbes. Whether you work in an industrial plant, an office, or retail store, it is important to love what you do. You don’t have to have a dream job, you can start just by focusing on short term goals at work. Hustle to achieve goals, encourage team work and positive communication among your staff, and realize that if you put passion into your work, you will begin to love your work. When you love what you do, it becomes easier to give credit to your team and lead by example. Your positivity as a leader will become infectious in the work place and you will find it much easier to create a happy staff, which we now know leads to a more productive work place. If you’re to be a good supervisor or great manager, it is in your best interest to keep your workers happy, for the good of your state of mind and for the good of the company. If you push your team around, over work them, or fail to recognize their hard work, then you will find yourself on hard times. Hopefully these workplace tips can help keep your workplace a positive and safe work place. For more guidance on all work related health and occupational issues, visit SolutionsNW.com or Contact Us for more information.